Our website is like no other, we give away a free Tarot card reading every week. These are not the generic, computer generated readings. These readings will be done by a professional Tarot reader. 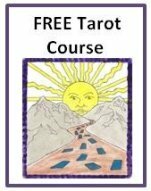 If you want to sign up for a free Tarot card reading please click here. This week we are doing a reading for Sarah. Sarah’s question is about how she can help her son with his school work. People involved: me and my son. Question: Will he do well at school this year? Before drawing the cards I rephrase this question to; How can I help my son with his school work this year? Do you see the difference, when you rephrase it, the answer automatically becomes more empowering as we keep the question open allowing for a more pro-active answer. 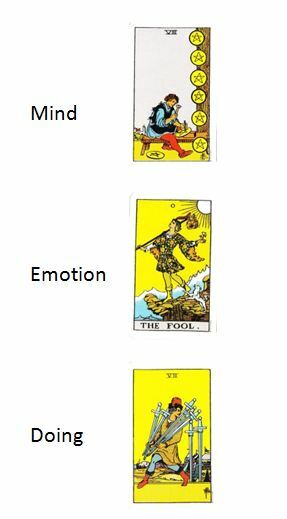 When we look at the snap shot of the cards we can see, we have 2 minor arcana’s and one Major (the Fool). 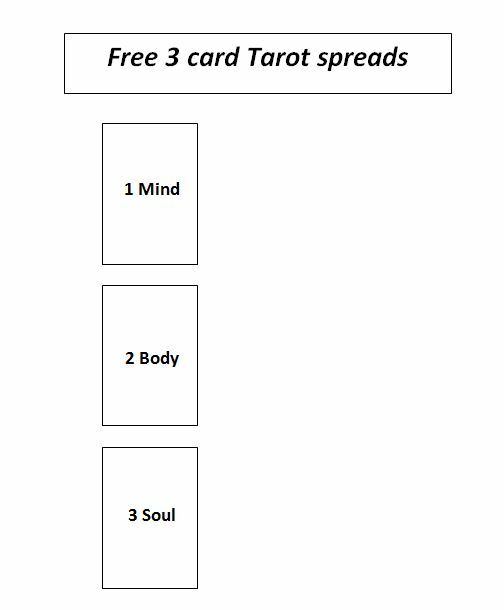 The layout I picked was the three card spread which is mostly represented as mind (top), body (middle) and spirit (bottom). But I have changed it a little for this particular reading. We are looking at the mind, our thinking in regards to this question, the emotions and what we are (or should be) doing in regards to this question. In the first card (8 of Pentacles) we see a hard working person. This could be Sarah’s son or Sarah herself maybe both of them working hard to get ahead in life. If this would be a face-to-face reading I would ask who Sarah thinks this person is and why. ‘Having the world at your feet’ I assume that Sarah looks at her son and sees him as having the world at his feet. All he has to do is to embrace it and put one foot in front of the other. This situation is however not without risks, because we never know what is around the corner. So this could be a double meaning; having a lot at our disposal, but also being possibly fearful of making mistakes. This holds especially true when you combine it with the previous card showing that people are either working hard in their studies (Sarah’s son) or they work hard to provide the opportunity to study (like Sarah). This is a position used in other spreads as well and it basically gives us a reflection of what we are doing in the external world, or it gives a suggestion on what we could be doing. The card on this position is the 7 of Swords. Initially I thought straight away I will need a clarifier for this position but when you look at the reading (the other cards in context) it starts to make sense. We are afraid of cutting corners or not taking everything with us when we study. To me it looks like Sarah’s son is having a big year in regards to his studies (otherwise she would not have asked this question). It appears he is very serious about it and both him and Sarah have worked hard for this as it will set him up for life (the Fool). With the 7 of swords it is indicating we might question if we are cutting corners? If we should be cutting corners (why not study summaries instead of full chapters for example – if the load becomes too much to handle all at the same time). In both the minor arcana cards, it appears we are having an overload of either; pentacles or swords. Within both cases, some being left behind. Why is this? I think just being aware of this is important because it can then become a conscious decision to leave a pentacle or some swords on the ground for later (and then we can chose to pick them up). It looks like her son will do well in his studies provided he works hard (8 of Pentacles) keeps his focus on the overall goal (the Fool – starting a new journey in this case). And really thinks about the practicalities of student life in terms of not carrying a too big a load. This, because we might end up hurting ourselves (you can take this literally - look at the way he carries the swords – why? It must be painful). If her son or Sarah have a tendency to be a bit harsh on themselves in regards to the study discipline the 7 of swords allows us to back off a bit and don’t overwork ourselves (8 of Pentacles) as this is in contradiction to the goal (being the Fool ). You can even see this in the different postures; hunched over in the 7 of pentacles, open and free in the Fool. 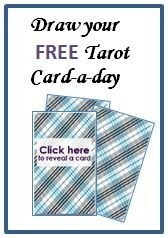 Would you like to win a free Tarot card reading? Fill out the form below and your reading might be up here next week.